There are not enough stars!!! There are not enough stars!!! Sharon is off the charts for each of the categories. 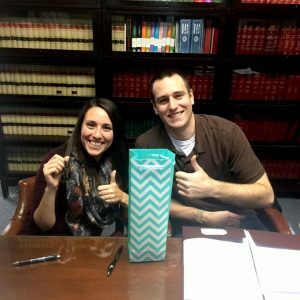 As first time home buyers, my fiance and I were completely new to this process. From the beginning, Sharon sat us down and patiently explained the process step-by-step. We worked with her for about 7 months and throughout this time, we were never rushed, were always responded to immediately no matter the form of communication, and consistently received personalized and attentive responses. Sharon helped to make such a stressful and overwhelming process a much more manageable one. Often times, after speaking with friends about our experience their reply would be: “It sounds like you have a wonderful realtor– you are lucky.” There is no one else we could imagine having bought a house with and cannot recommend her highly enough. Whether you are looking to buy or to sell, Sharon should be your go-to– no hesitations! We miss our daily communication with her already and will always be appreciative for her help!